Quality: Select firm, mature squash with a hard rind. Cook until soft in boiling water, in steam, in a pressure cooker or in an oven. 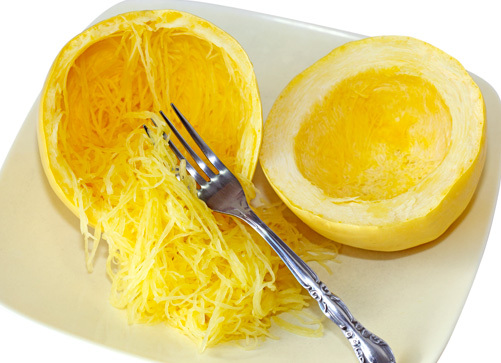 To cool, place pan containing spaghetti squash in cold water and stir occasionally. Package, leaving ½-inch headspace. Seal, label and freeze. This recipe applies to all winter squash.